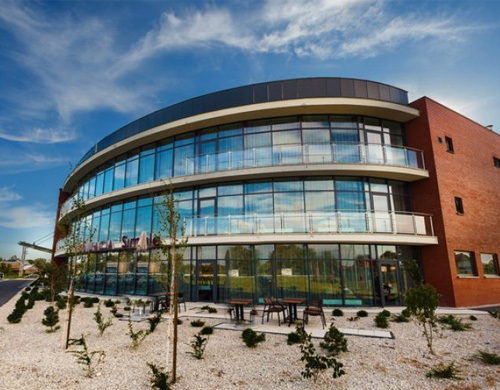 Located 1 km from the airport in Jasionka and 2 km from the borders of Rzeszów, Blue Diamond Hotel Wellness & SPA **** is a modern four-star hotel, which was built in 2011. High quality service will make your stay guests will be A fine and enjoyable. 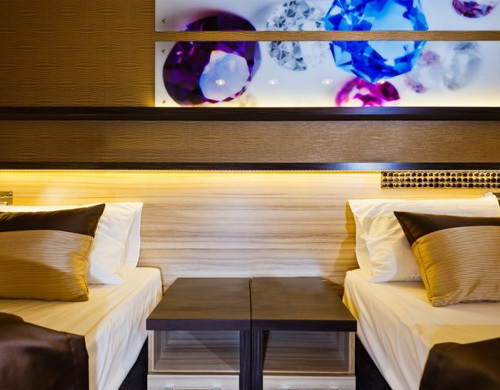 The hotel offers a friendly atmosphere making you feel at home. Traditional hospitality will make you spend an unforgettable stay here. The hotel is located in the sports - leisure center in Nowa Wies. This allows guests will have access to the indoor swimming pool "wave", tennis courts, a football stadium and spotted. The hotel offers 141 beds. 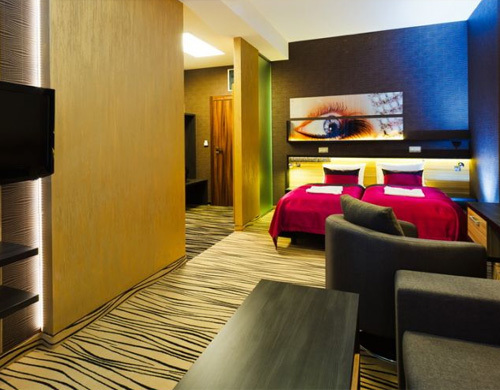 You can choose standard rooms, premium rooms and suites. 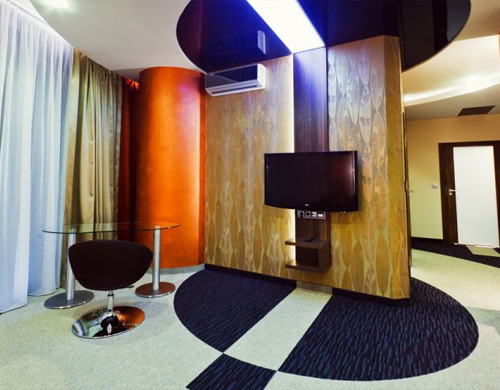 The rooms have been designed so that guests can relax comfortably and pleasantly. Each room is also a great place to work. 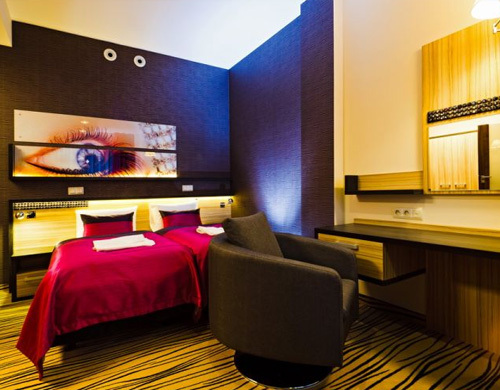 The rooms are equipped with comfortable beds that guarantee a good night's sleep. Guests can enjoy unlimited internet and TV. The bathroom comes with a hairdryer. Another advantage is the telephone in every room. 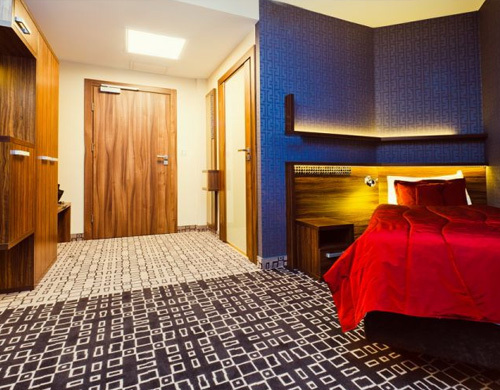 Premium rooms are larger and have additional furniture to suit the particular work. 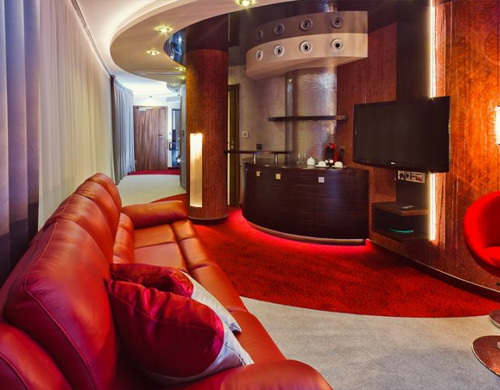 Each premium is also equipped with a mini bar, safe and telephone. The apartment consists of an entrance hall, a bedroom and a living room. Each apartment has a Jacuzzi, shower and separate toilet. In addition, all apartments are equipped with a safe and mini bar. For all guests the use of the relaxation area and a large breakfast buffet is free. For children, the Diamond Corner Nursery. Wireless Internet access throughout the hotel operates. Hotel's gastronomic offer consists of two dining rooms and terraced bar. The restaurant serves European cuisine and Polish. Each item in the menu is prepared with fresh, high quality products procured from reliable vendors in the country and abroad. The hotel also has a wide range of Wellness & Spa facilities, which includes a swimming pool with water features and built-in drink bar, sauna, steam, cooling zone, tepidarium and gym. Beauty Spa at Blue Diamond Hotel is equipped with devices that are innovative in the world. Hotel Blue Diamond is the perfect place for organizing all kinds of events and meetings. From events such as weddings to business meetings, conferences and training. Prepared conference rooms, equipped with multimedia equipment and internet. We can arrange a meeting for up to 200 people. Blue Diamond Hotel Wellness & SPA **** is located at the road Rzeszów - Lublin, only1 km from the airport and 2 km from Rzeszow.